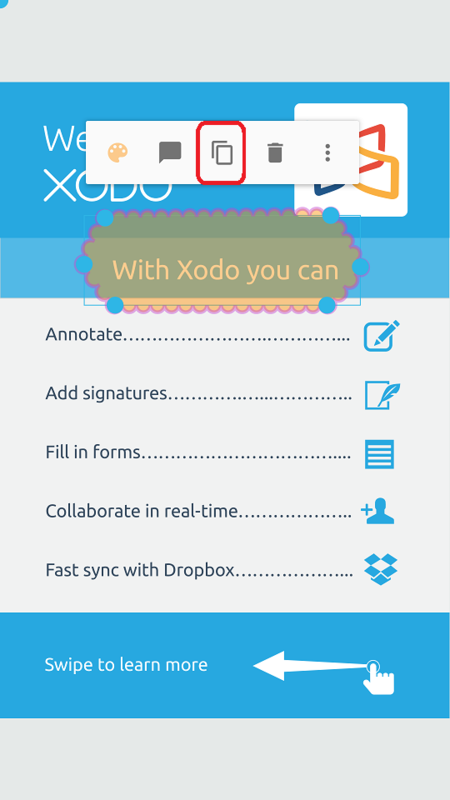 Some annotations in Xodo can be copied and pasted. 1. Select the annotation you wish to copy and tap the Copy button in the popup window. 2. Long press on the area in the document where you wish to paste the annotation. In the popup window, tap the Paste button. 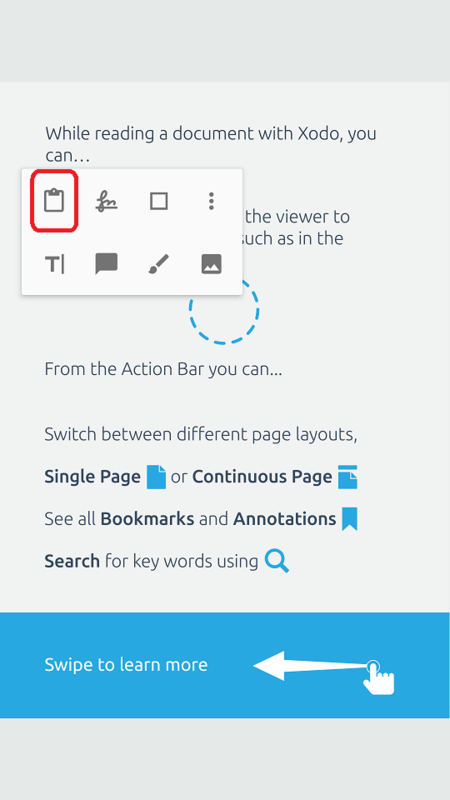 Annotations can be pasted multiple times when copied to the clipboard.